Chicago has been called the ‘most American of cities’ and the ‘great American city’. Not the biggest or the most powerful; neither the richest, prettiest nor best – but the most American. How did it become that? And what does it even mean? At its heart, Chicago is America’s great hub. It began as a trading post, which grew into a market for the east to purchase the goods of the west, sprouting the still-largest rail interchange in America. As people began to trade virtual representations of those goods – futures – the city became a centre of ﬁnance and law. And as people studied the city’s growth and its economy, it became a nucleus of intellect, with the University of Chicago’s pioneering sociologists shaping how cities at home and abroad would come to understand themselves. Whet Moser’s book reveals how the city grew into a metropolis over its social, urban, cultural and sometimes scandalous history. 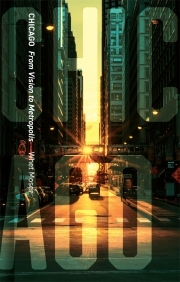 He also traces the development of and current changes in its neighbourhoods: Chicago is famous for them, and infamous for the segregation between them. 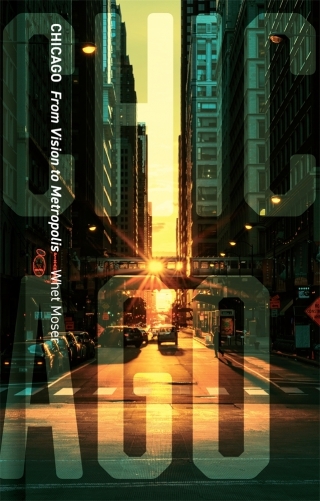 Moser takes readers from the very beginnings of the city as an idea, a vision in the minds of its ﬁrst explorers, to the global city it has become – and offers a local’s perspective on the best and most interesting aspects of Chicago to visitors today. Whet Moser is deputy editor at Quartz Obsession and a former associate editor at Chicago magazine.